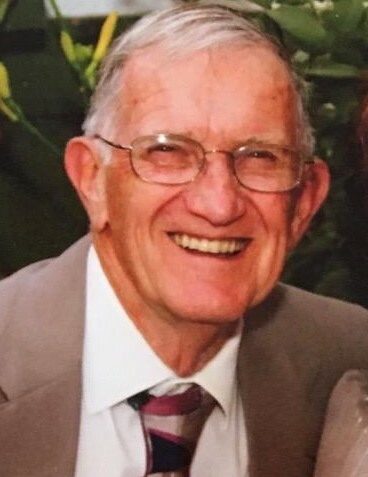 Richard J. Tyler also known as Tyler, Dad, Dear and Pepere, died Sunday, March 31 at home with his family. He was 85. Born and raised in Nashua, Richard was a lifelong New Hampshire resident and active member of the Hudson community. He leaves a legacy of service including 16+ years as volunteer firefighter for the Hudson Fire Department, an expert Camp Host in the National Park Service, Army Corps of Engineers, and Florida Park Service, and a compassionate volunteer for CareGivers’ Caring Cupboard in Southern New Hampshire. Richard was not afraid to get his hands dirty and definitely liked to keep himself busy. He could be found tinkering in the garage or his shed, fixing whatever might be broken or just getting a tool in shape for his next project. He enjoyed keeping his motorhome in tiptop condition, doing his own vehicle maintenance, landscaping, bird watching, playing card games, and hitting the road in the RV. In retirement, Richard spent winters camping in Florida, Georgia and Arkansas in the motorhome and traveled to all 50 states over the years in a series of campers: a little pop up, a travel trailer, a Class C and all the way up to a Class A. In fact, he was still driving that motorhome until just a couple of years ago. He also embraced travels to Europe visiting Crete, Greece, Santorini, Hungary, Czech Republic, and France. He ventured on one last big trip, much to the delight of his wife and children, with a cruise tour of the British Isles which included a visit to London; a significant milestone as this was his father’s birthplace. He leaves behind his beloved wife Joan – with whom he celebrated 60 years of marriage last November – their four children and five grandchildren and a cat he called Princess. He also left a half-gallon of Jim Beam.